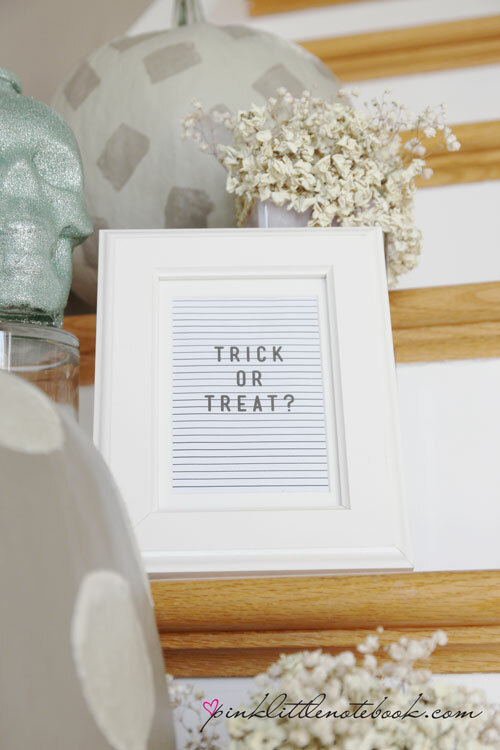 Dressing up, trick-or-treating, decorating, pumpkin carving / painting, endless amounts of chocolates & candies, costume parties, haunted houses, scary movies—yup, this is one of my favourite times of the year. Earlier this week, I got into crafting mode. 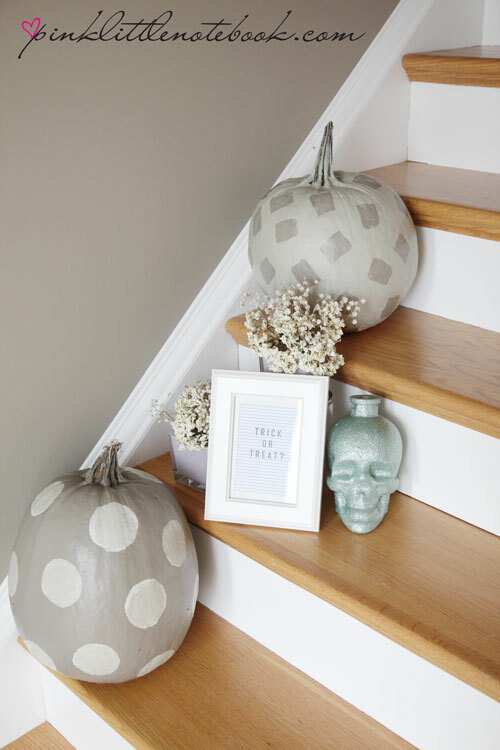 I wanted to spruce up the house with a little Halloween spirit (in a non-traditional kind of way). As much as I love to carve a pumpkin, sometimes I just don’t want to deal with the mess that comes along with it. 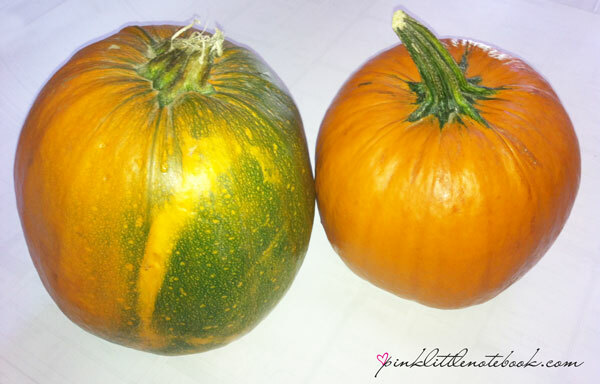 Using a good old paint brush and sponge, I gave my pumpkins a little makeover with some paint! Painting was such a fun and easy way to switch it up this year. And If I knew it was going to take me half the time, I would have got a pumpkin for every step! I hope you are all ready for the trick-or-treaters. Be safe! Those look gorgeous! 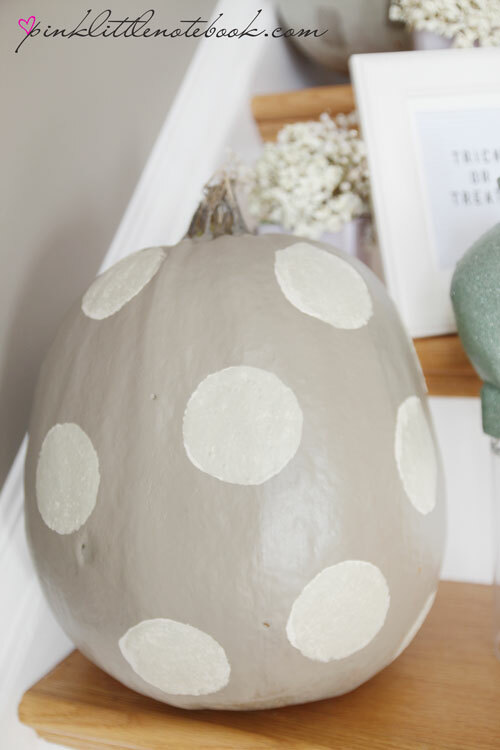 This year I have seen more and more great ideas for painting pumpkins. I did some myself with glitter and stick-on letters. 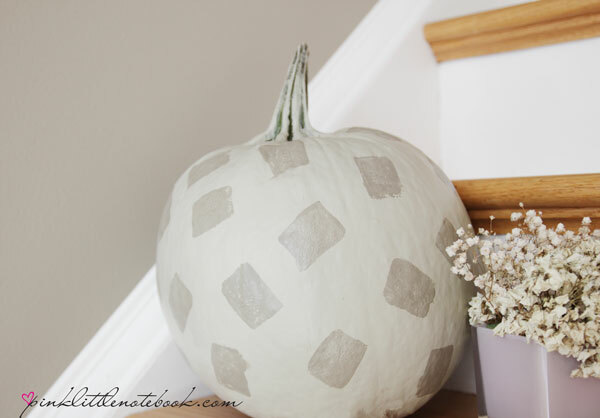 I love the idea of decorating without the mess of carving!